EHA » Twilight on coal in Europe? Twilight on coal in Europe? The latest report from the IPCC calls for phasing out the coal-generated electricity by 2050, if the world wants to avoid the catastrophic impacts of global warming, such as total destruction of Great Barrier Reef. Experts say that the coal power has to drop to between 0 and 2 per cent of existing usage. Following the strategy of the Paris Agreement, the EU legislators reached an agreement on 19 December that would effectively cut off any new the subsidies in coal power plants (excluding a special clause which applies particularly to Poland). The deal finalizes the EU’s Clean Energy Package which was presented more than two years ago. This is a clear message that the coal era is over, at least in the EU. However, there are clear signs that coal is not doing very well in the US as well, despite Trump’s loud support. According to the U.S Energy Information Administration, more coal power plants have been deactivated in Trump’s two years in office than during Obama’s entire first term. This is in spite of the US Environmental Protection Agency (EPA), which is currently led by a former coal lobbyist Andrew Wheeler, lifting the caps the Obama Administration set on the levels of mercury and carbon that can be released, on the basis that less regulation will boost the coal industry and make electricity cheaper. However, none of it is taking place and Trump’s promises to “put our great coal miners back to work,” are not being fulfilled. Furthermore, the US coal consumption will decline 4% this year to 626 million tons. This will be down 44% since coal’s peak usage in 2007. While Trump’s administration will claim that the coal industry is “winning”, it will probably continue to decline. More coal-fired plants will close, while other countries will lessen their dependence on coal (which should impact exports). 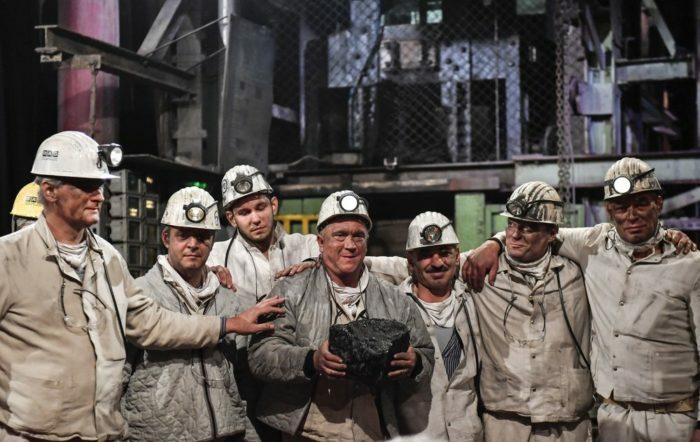 Following the coal twilight, Germany has recently closed its last black coal mine. Dating all the way back to the 10th century, the coal mines in the Ruhr Valley in the North Rhine-Westphalia were the long economic spark and heart of German industry, helping the recovery from two World Wars. For 150 years, it was the country’s main energy source and most important raw material. However, this is beginning to wane. “[Bringing up] a tonne of German hard coal costs €250, but only sells for €80 on the market,” stated Christof Beike, a spokesman for the RAG Foundation. The end of deep-shaft mining is seen as a test for the planned closing of open-cast lignite mines that still operate in Germany as lignite is considered even dirtier than black coal but remains relatively cheap to extract. But Germany’s farewell to black-coal mining is by no means an exit from coal altogether in a country where the fossil fuel still accounts for almost 40 percent of its energy mix-partly because of Merkel’s decision to ditch nuclear power. However, Germany is actively assessing the need to phase out coal, with the country’s Coal Commission expected to finalize its recommendation for coal regions by February 2019. This is will not be the only and last story of closing mines in forthcoming months. Every unprofitable coal mine in the EU had to cease production by 1st January 2019, as all public funding for coal mines had to be stopped by this date. This means that only in Spain 26 coal mines have to be closed. Mines must return funds if they did not close by the end of 2018. Coal accounts for under 10 percent of Spain’s energy needs and the majority used in Spain is imported. High extraction costs have led to the gradual closure of mines in Spain, mostly concentrated in the northern regions of Asturias, Castile and Leon, and Aragon. The industry employed around 100,000 people in the 1950s but this has since dwindled to around 2,000. The deadline stopping the coal subsidies for mines was set back in 2010 as the EU was looking for ways to stop the fossil fuel dependence. This is a completely opposite approach from the Trump administration, which is grasping anything to keep the coal business alive. However, the future of coal does not look promising neither in the EU nor in USA. Despite the recent steps towards clean energy, there are still new plans for coal plants in the EU. For example, Greece and Germany are in a stage of proposals and building new power plants. Greece has been looking for investors to build four new coal-fired power plants and Germany has been building seven brown coal power plants. Another such country is Bosnia and Herzegovina, which is planning to build several new ones or developing more units in the already existing ones. But many countries in the EU have decided against building more of them right now. One of the reasons (apart from the apparent issue with pollution) is that the majority of coal plants are not profitable and building a new one is an expensive project and while the renewable energy is getting cheaper and cheaper, over half of the existing power plants are at loss. By looking at the profitability of all 619 operating coal plants within the EU, the analysis at Carbon Tracker discovered that 54 percent of them were no longer profitable, and were instead of losing money. The operators are arguing there need to be some coal plants operating to prevent blackouts due to the unreliable nature of renewables. But this is ignoring the fact that there have been no blackouts so far even though the proportion of renewables entering the grind has massively increased. Moreover, since 2012, the UK has cut the amount of coal burned for electricity from 40 percent to just 2 percent, with no negative outcomes.